Ah Christmas Eve! Hope all of my readers who celebrate have a wonderful day today and tomorrow! 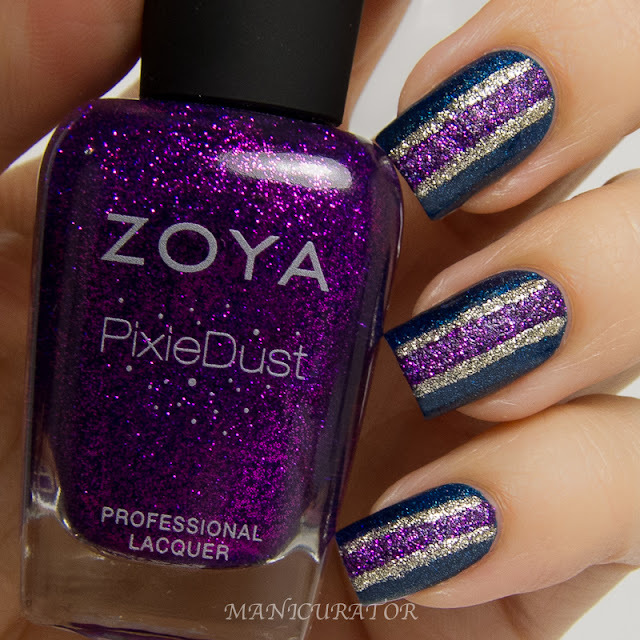 I've got a quick post, a very nontraditional holiday mani for you today. But I think it's worthy of celebration nails, so let's see shall we? 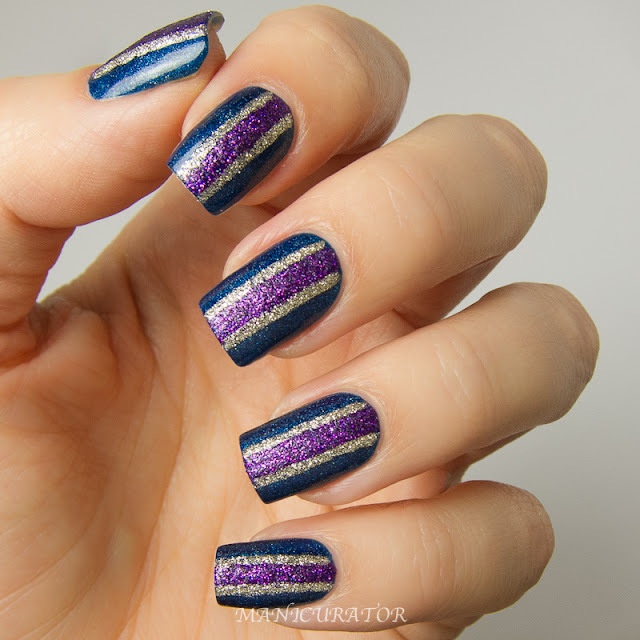 I have the beautiful Smitten Polish Bifrost, 2 coats, as my base here, and then I painted a stripe of Zoya Carter down the center. 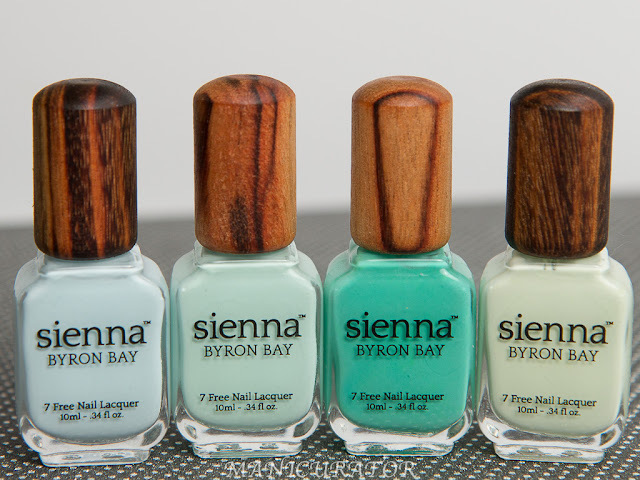 When that was dry I used a thinner nail art brush to paint smaller stripes of Zoya Tomoko on either side of Carter. And done. Simple and easy but I love the look! This definitely feels festive and looks more sparkly in person than the photos are able to show. JOY JOY JOY to all you! This looks great doll! Merry Christmas! Love this!! Colors are perfect! I love this. It's so festive! It's not too simple! No way! It's lovely and elegant, and I can imagine this is a manicure that would look very festive if paired with matching clothes! Perfectly gorgeous...the rich colors go together super well! Wow! Those are definitely NOT too simple at all! It's gorgeous! omg, I'm obsessed with this! So beautiful! I might to recreate it -- pinning for later! Oh wow this looks so sparkly and pretty! I think I should really buy some Zoya polishes at some point! 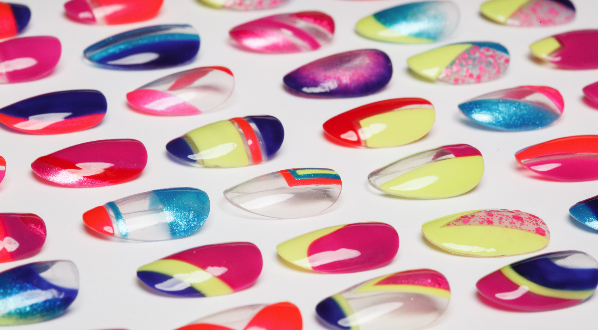 A gorgeous design, makes your nails even longer!